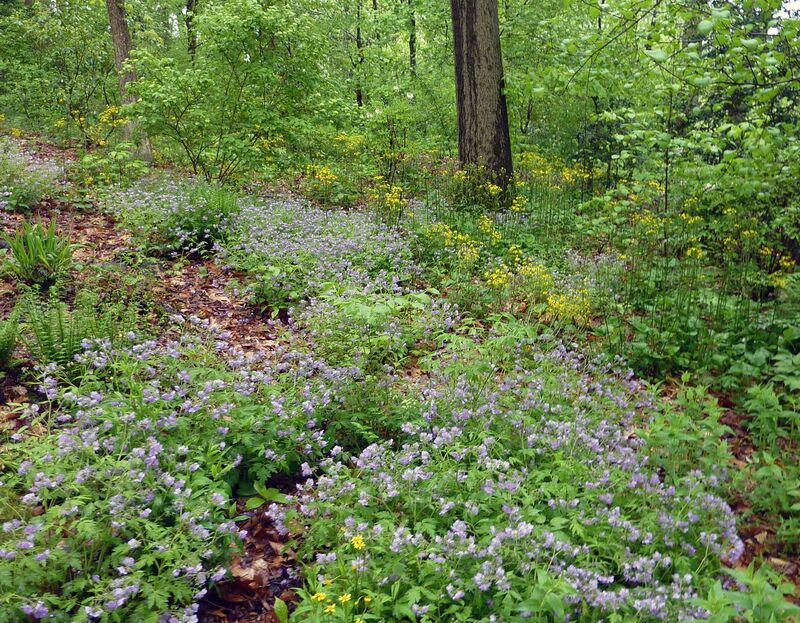 When I think of Phacelia I think of them as an all western genus of blue flowering plants (that supposidly turn honey blue if the bees use it enough). 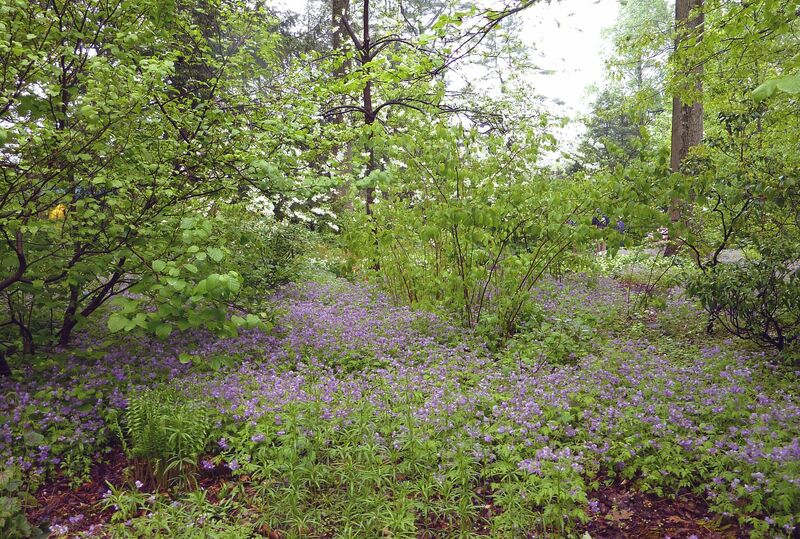 I had no idea we had native Phacelia on the east coast but apparently it's a wide spread genus for all of North America. 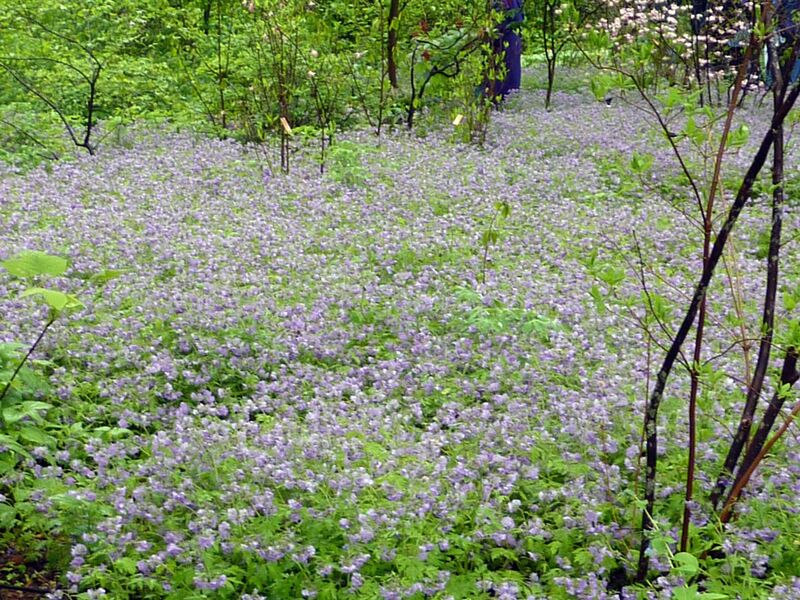 Phacelia bipinnatifida was used like a carpet for much of the garden beds. 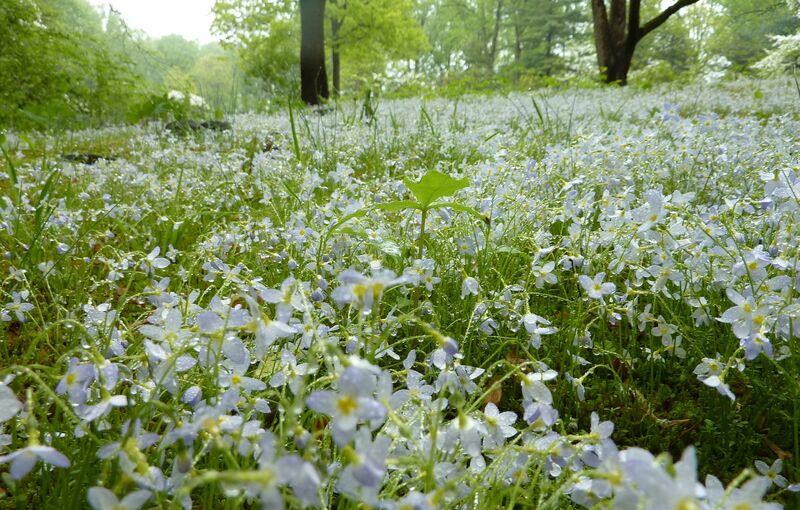 It's amazing what thousands of flowers can look like in a huge patch. I hope to mimic this effect someday with my garden. I don't think they over used it at all. 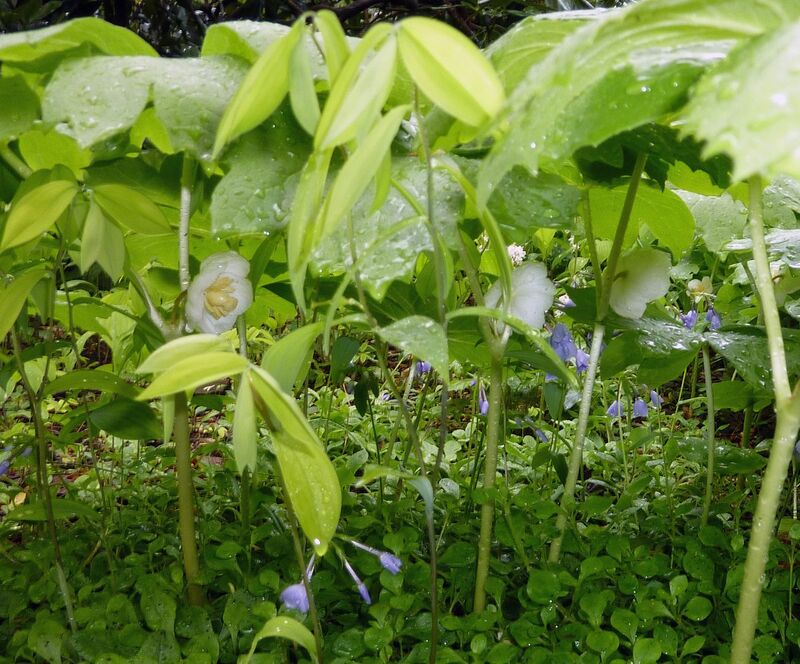 It was just doing better in the rain than Virginia Bluebells and Celandine Poppy were. It went well with a lot of the plants they have here. The yellow is Ragwort which I have. 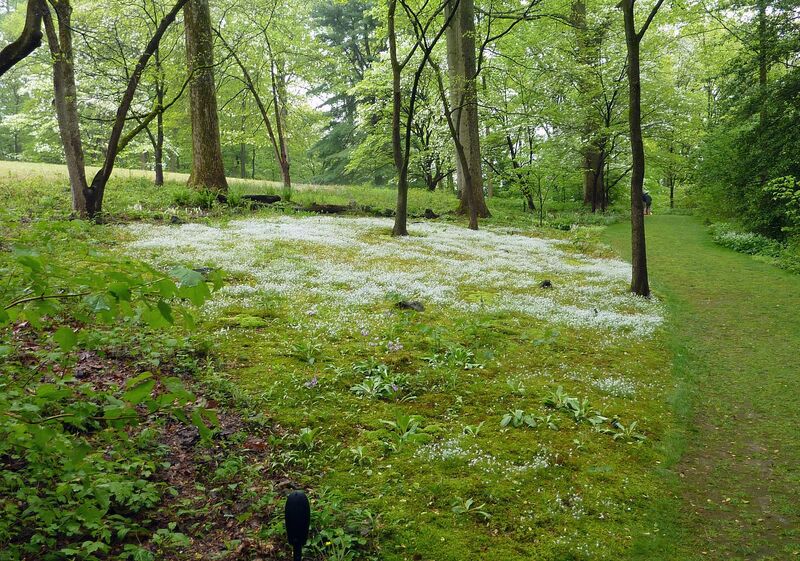 And speaking of carpets of flowers. That isn't snow. Quaker Ladies, Houstonia caerulea. 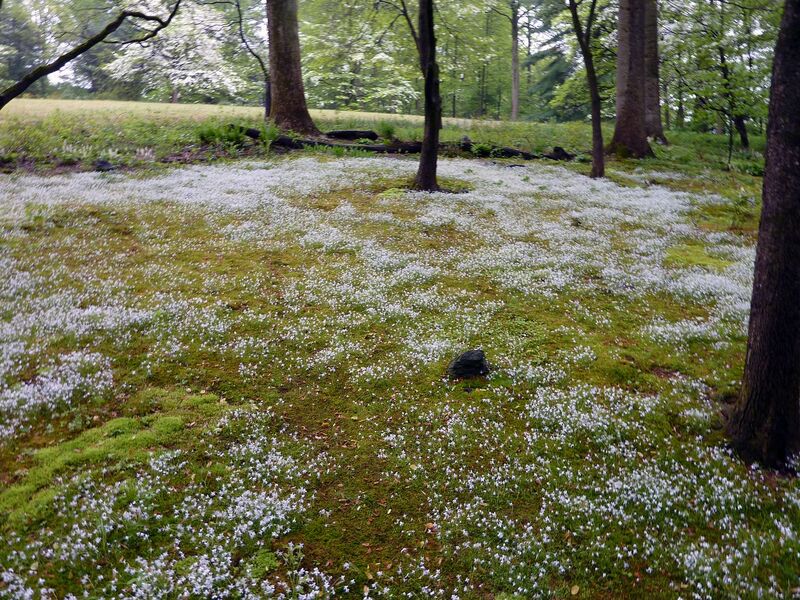 The wonderful snow effect comes from what has to be millions of tiny white and blue flowers. I need to look into getting me some of these. The only issue I see is they might become lost in the lawn. This patch was planted on moss and I wonder if they're lawnmower friendly. Maybe around stepping stones? 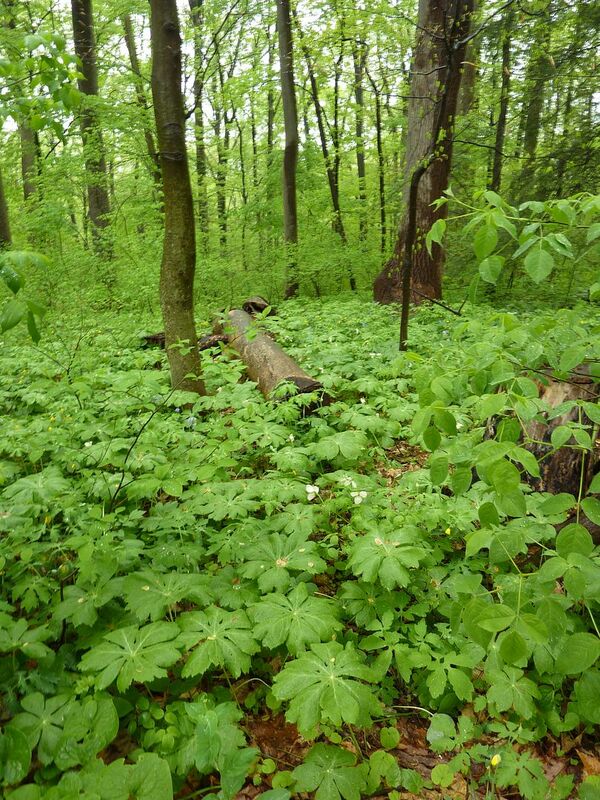 This is a carpet of Mayapple, Podophyllum peltatum. 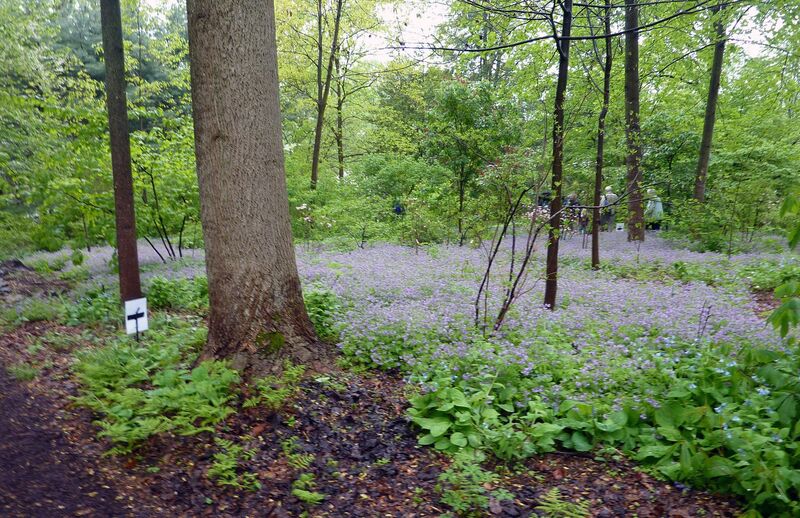 They're in full bloom but those flowers in the picture are Trilliums. 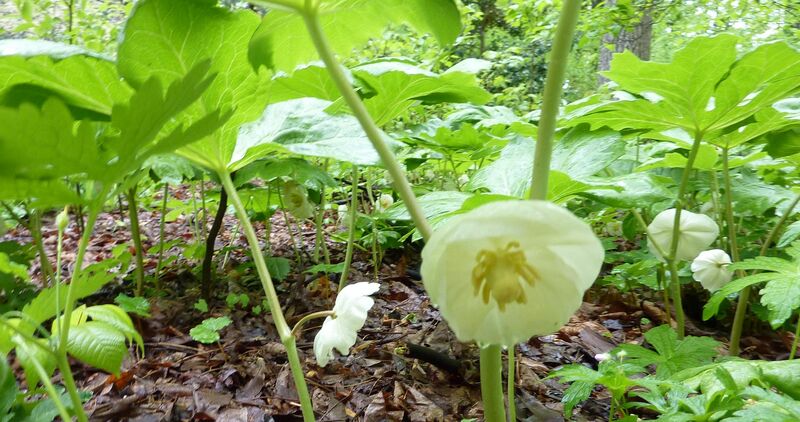 Mayapples form their own canopy of dense leaves. The flowers hand down just off the stem out of view. They shade out surrounding plants and shield view of flowering trees that might be above. This way they help make their flower stand out as the best choice for passing by pollinators. Beetles and certain bees are likely what pollinate them best. 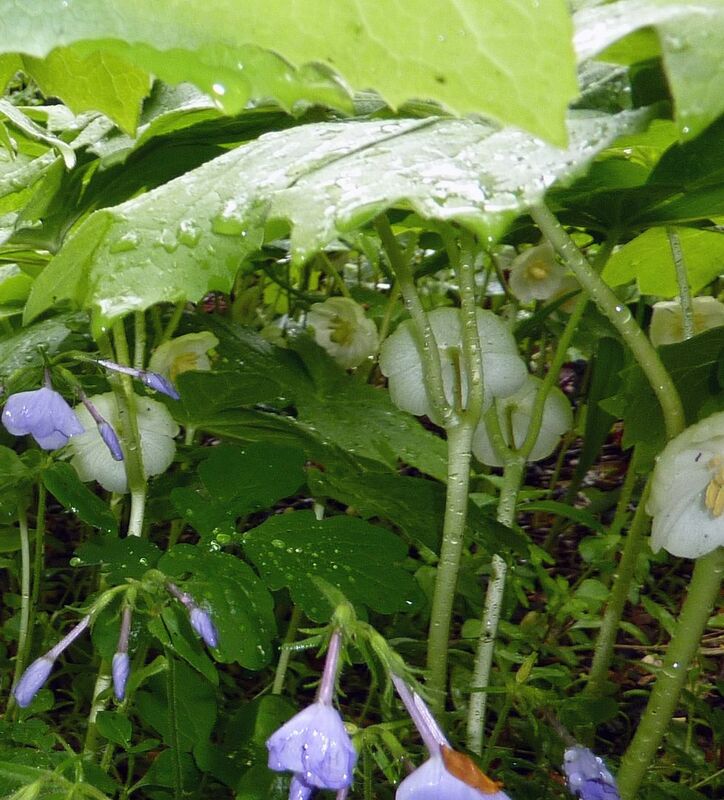 Virginia Bluebells was the only thing I saw growing under the dense leaves. They weren't do so hot either.